Quick Study: Boris Paramonov is a Russian-born essayist whose work focuses on cultural and philosophical questions. The Paramonov File: Boris Paramonov writes and speaks on a broad assortment of subjects related to Russian history, literature, and philosophy. 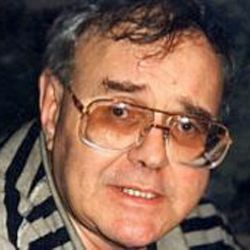 In the 1980s, he began working for Radio Liberty, where he has written for the station’s Web site, served as a commentator, and hosted the program “Russian Questions.” Paramonov won the 2005 Pushkin Prize from the Alfred Toepfer Fund, recognizing his decades of writing essays for diverse media, from “thick” Russian journals to slender Russian newspapers and the ethereal Internet. Several collections of Paramonov’s essays have been published in book form. Psssst………: Paramonov taught history of philosophy at Leningrad State University. He said on a Radio Liberty program that if he’d been allowed to stay in the department he probably would not have left Russia. Writer’s Places: Leningrad: Born there, studied history at Leningrad State University. New York: Emigrated in 1978. The airwaves of Radio Liberty. Paramonov Recommends: Andrei Platonov, whom he calls underappreciated but an equal to Tolstoy and Dostoevsky. He also praised Dmitry Bykov’s Ostromov, Or the Sorcerer’s Apprentice, where he finds shades of such classics as Mikhail Bulgakov, Yevgeny Zamyatin, and Nikolai Gogol.